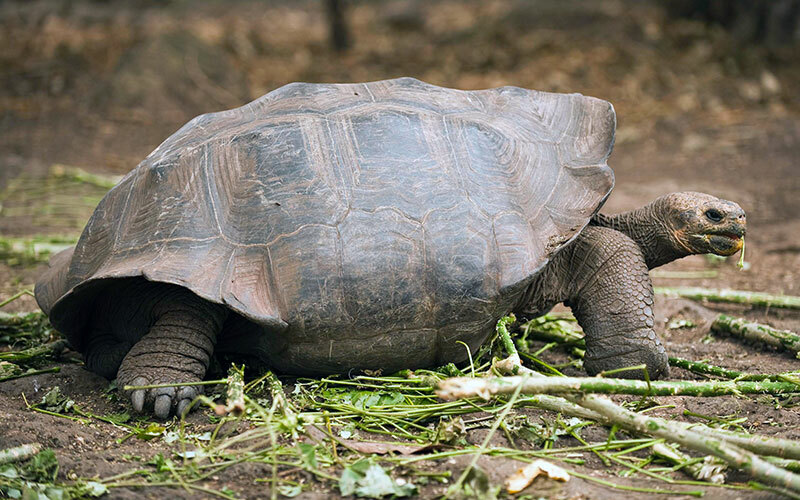 Resurrecting dead creatures may be a nightmare from the realms of pure science-fiction but a new scientific program in the Galapagos, The Giant Tortoise Restoration Initiative (GTRI) is proving that resurrecting extinct species can become a reality. The new program is fascinating biologists and scientists around the world because it should lead to the extinct Floreana giant saddleback tortoise being resurrected from extinction. How is this even possible? Well until the last twenty years it wasn’t possible but recent advances in DNA science has meant that museum specimens of the extinct Floreana tortoise (Chelonoidis elephantopus) collected from Floreana island roughly a hundred years ago could be analysed to obtain a genetic footprint of the giant tortoise and then compared to DNA in blood samples taken from living tortoises. 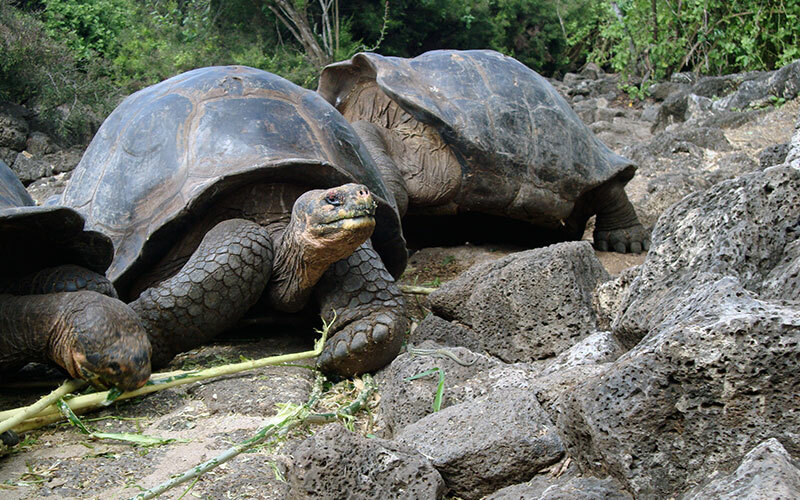 The Galapagos authorities and conservation organisations have started projects like The Giant Tortoise Restoration Initiative to restore the Galapagos ecosystem to how it was before mankind arrived. The GTRI project involves re-establishing giant tortoise populations. The famous giant tortoises have played an essential role in the ecosystem of the Galapagos Islands. They act like mini bulldozers shaping the terrain around them by uprooting trees and bushes to make tortoise beds and even helping to pollinate cacti by spreading their seeds around. But conservation groups such as the Galapagos Conservancy don’t want to reintroduce non native tortoise species to an island so only Floreana saddleback giant tortoises should be introduced to Floreana. That would be necessary anyway because only saddle backed tortoises with their longer necks and legs are suited to live on arid Floreana Island. There’s only one problem with the wonderful idea to re-establish Floreana tortoises to Floreana Island, they were last seen 170 years ago. They’re classified as extinct! 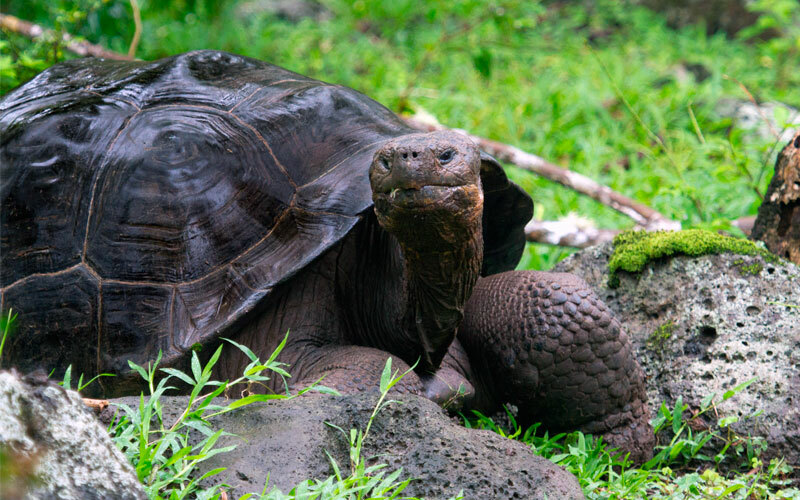 But, in 1994 when scientists were visiting Isabela Island to monitor and record the giant tortoise populations there they found non-endemic saddleback giant tortoises roaming among the native dome-shelled giant tortoises of the island. They took blood samples of 60 tortoises and found that the saddleback tortoises had genetically divergent DNA to other tortoises living on Isabela. By 2008, mitochondrial DNA testing of 25 museum exhibits of the Floreana tortoise gave scientists the genetic footprint of the extinct Floreana tortoise. 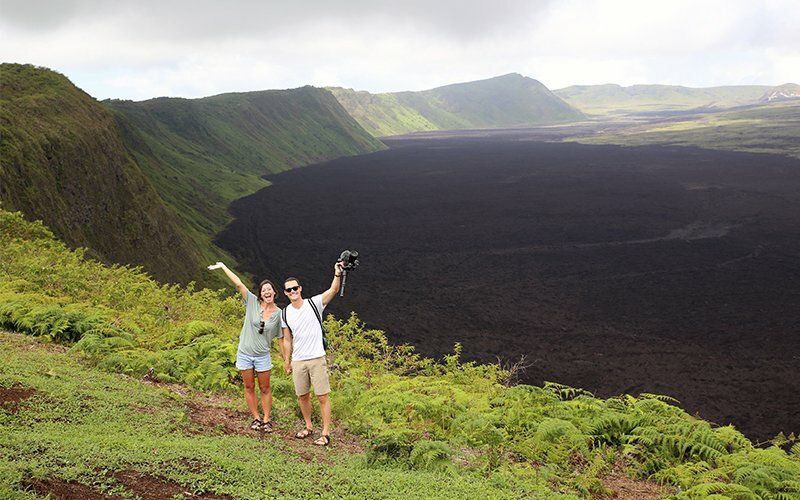 That same year 50 researchers went back to Wolf Volcano on Isabela Island to look for more saddleback giant tortoises. They took blood samples from 1600 tortoises and found that 105 of them had mixed genes. They were hybrids of Floreana tortoises and other giant tortoise species on Isabela. What a result! A part of the genome structure of the extinct Floreana tortoise was present in living giant tortoises on Isabela Island. How did that happen? Until very recently it has always been assumed that mariners visiting Floreana Island in the eighteenth and nineteenth centuries hunted the defenceless reptiles to extinction. When Darwin stopped by in 1835 he only saw the shells of dead tortoises and assumed that whalers, pirates, and other mariners had wiped them out. By 1850 they were reported as extinct. The exact truth of the matter is a mystery but it’s recorded that after leaving Floreana Island many mariners stopped at Isabela Island before embarking on longer voyages across the vast Pacific Ocean. It is now thought likely that although they had loaded the Floreana tortoises as a meat source when they left Floreana they probably off-loaded them when visiting Isabela a short time later to make space for more valuable whale oil or to stash meat supplies for return visits. 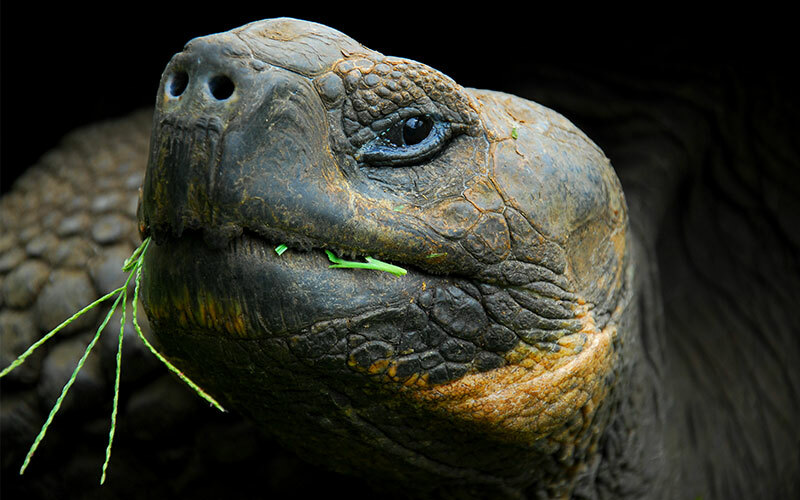 The GTRI project advanced when in 2015 scientists mounted a ten day long expedition to Wolf Volcano to identify saddleback giant tortoises suitable for a special breeding program back at the Galapagos National Park Service’s captive tortoise breeding facility on Santa Cruz Island and then transport them there. Seventy field personnel were used along with a helicopter and ship support. Once identified, blood samples were checked for Floreana and also Pinta tortoise genes. The scientists were looking for the tortoises with the highest levels of genetic footprint. None of the tortoises had Pinta tortoise ancestry but, of the 150 saddleback tortoises found and tested, 35 were identified as ancestors of the Floreana tortoise. Clearing land with machetes and dropping large nets from helicopters hovering overhead, thirty two of the saddleback tortoises were airlifted back to the tortoise center on Santa Cruz. 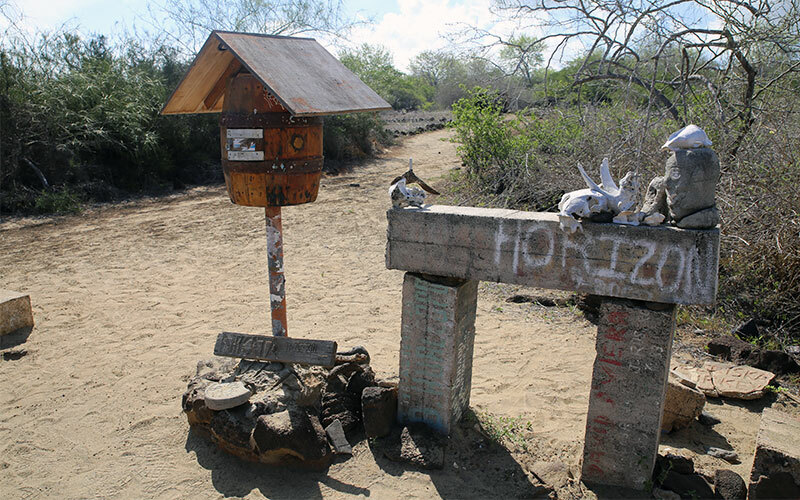 Once back at Santa Cruz further DNA tests were done using sophisticated genetic assignment software which identified which tortoises have the strongest assignment to the genetic footprint of the Floreana tortoise. For example the software can determine if a tortoise is a first generation or a sixth generation hybrid. A F1 hybrid means that the individual is a child of two purebred parents. Incredibly, two of the thirty two tortoises were classified as either purebreds or backcrosses between a F1 and a purebred Floreana tortoise. This of course means that if you visit the Tortoise Center on Santa Cruz and watch tortoises very similar to the Floreana tortoises that the first visitors to Floreana Island encountered hundreds of years ago. How cool is that? 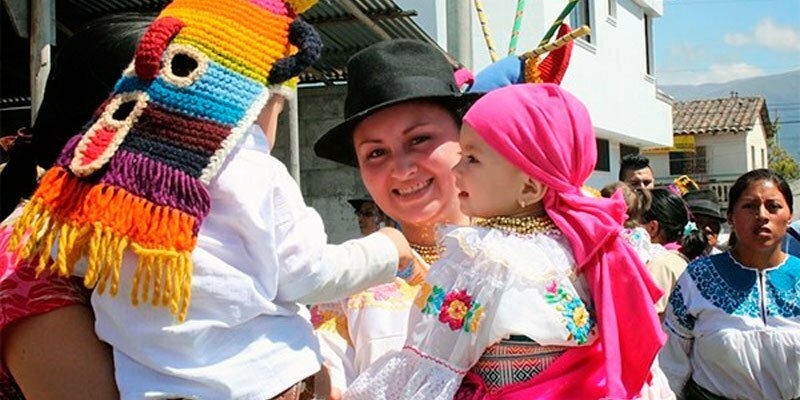 Now the GTRI want to repopulate Floreana with the offspring of the captive Floreana gene-pool tortoises. They have created corrals at the Tortoise Center with 3 females and two males to start a captive breeding program. Before assigning the individuals to the corrals they had to also make sure that none of the 23 tortoises to be used in the breeding program were related. High relatedness can lead to inbreeding which obviously would lead to undesirable results, but testing showed that most individuals were unrelated. The breeding program will be used to maximise the C.elephantopus genome in the baby tortoises yet to be born. It could even be possible to obtain complete genome recovery before the offspring are relocated back to Floreana Island. The possibilities now seem endless. The 2015 expedition only explored a fraction of the estimated total tortoise-occupied range on Wolf Volcano. There is a possibility that there are purebred Floreana tortoises roaming the volcano because some of the tortoises transported to Santa Cruz were only 15 years old and quite likely had purebred parents. Lonesome George was indeed very lonesome in the Santa Cruz tortoise center but earlier genetic estimates suggest that there could be 60-70 tortoises on Wolf Volcano with Pinta ancestry. The 2015 expedition searched a fraction of the volcano but even in that small area they estimated that there were between 5000 and 6000 tortoises living there. Could purebred Floreana or even Pinta tortoises be roaming Wolf Volcano? The irony is that the mariners who originally butchered the tortoises to supposed extinction may just have been those responsible for saving the species by transporting some of the few surviving tortoises to Isabela Island. All of this suggests that a more thorough expedition should be mounted to the volcano to search for, tag and test the thousands of resident tortoises. Scientists and budgets are restricted but here’s a call-out for volunteers. Form an orderly line please!